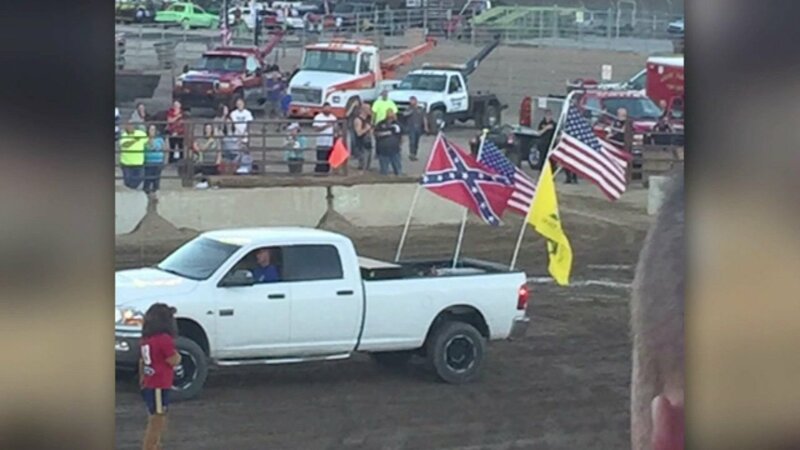 Fans at a demolition derby in Utah were asked to stand for the national anthem as vehicles bearing American flags formed a procession. But when one family noticed another flag on display, they decided to sit instead of salute. "When I saw the Confederate flag I didn't want to stand because it meant slavery," one of the family members said. Family members said they were confused as to why a Confederate flag was allowed in the procession on the weekend of September 11. The family refused to stand given what they said the flag represents. They complained to the city, but officials said the flag was never approved to be part of the event. The family said they did not stay for the rest of the event.